TIP #1 Most ForumPhyto Website articles are in French. Very few of them are in English. TIP #2 Nevertheless, in articles in French (click on the French flag), a lot of docs and links are in English. Then enter your surname, forename, email and Yes in your message. 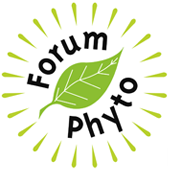 ForumPhyto is a non-profit association of farmers and farmers organisations who work together for the development of proud, responsible and sustainable plant protection on fruit, vegetables and potatoes. A unique resource center, permanently updated, on plant protection matter. Mainly suited for professionals, this informative portal also may be used by everybody. Via “pour débuter” items on each theme, it offers a view on the main issues and stakes about plant protection matter. All the aspects of plant protection are approached in a simple, clear and objective way. A tool for information exchange and awareness on plant protection stakes, dedicated to food and agriculture managers. Thanks to its expertise and to its French and European collaborations, ForumPhyto contributes to make debates and arguments clearer and more rational / consistent. In addition, ForumPhyto works to make concrete answers coming up for growers (unprovided uses issue).